10 Slow Cooker Desserts that Will Blow Your Mind - They're THAT Good! 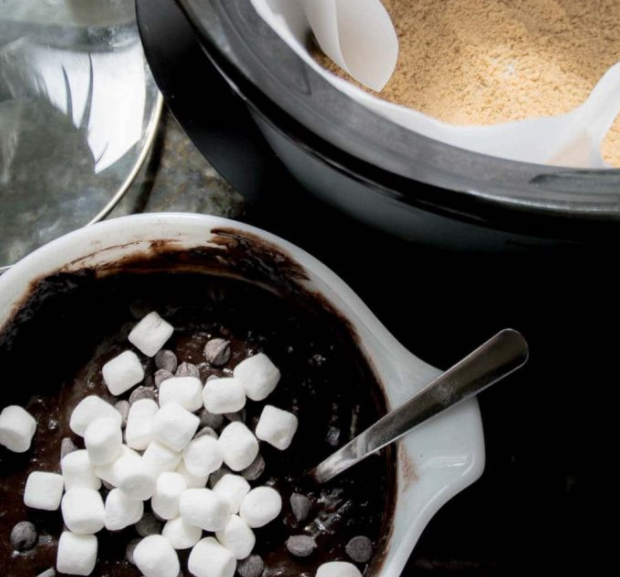 These Slow Cooker Desserts are going to change life as you know it. There’s just nothing better than a recipe that makes itself is there? And, don’t stop here! See more slow cooker recipes. Everyone needs their go-to slow cooker desserts recipe that they can count on and these are the top slow cooker dessert recipes you’ll find — all tested and tried and, yes, delicious! This slow cooker cake dessert is asked for time, and time again at my house. And, I am more than happy to oblige, because it’s seriously the easiest recipe ever. Like ever, ever, ever. It’s one of those crockpot dessert recipes that can literally be dumped in the slow cooker, set and forget. Don’t skip the ice cream, though as the ice cream makes it all it has to be and more! 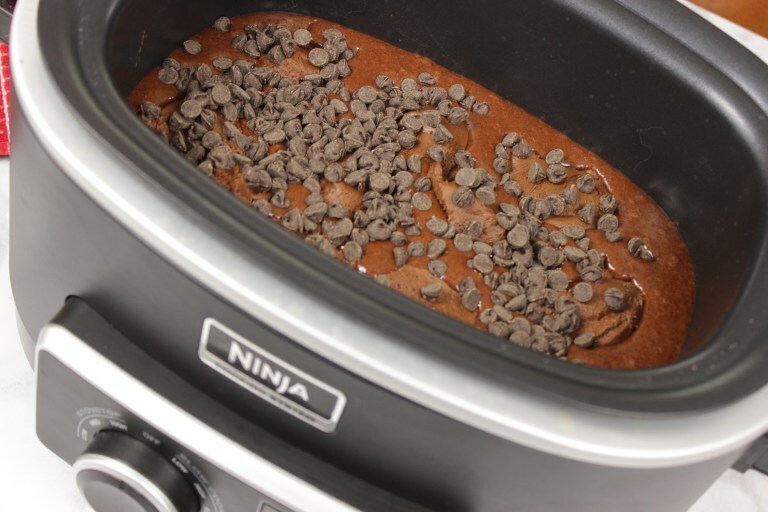 See this crock pot lava cake here! I do have to put a plug in for the BEST slow cooker known to man (or woman rather!) It’s right here and it’s marked down! 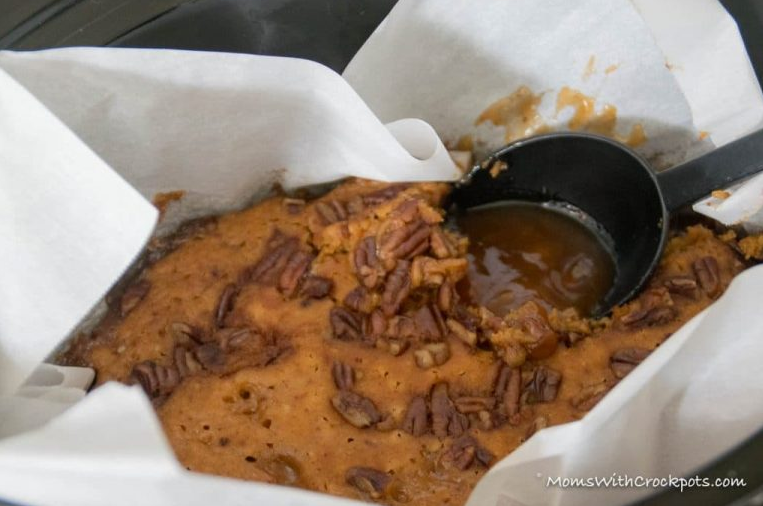 If it’s Fall and you haven’t tried this Slow Cooker Pumpkin Dump cake than I’m sad to say that you just haven’t lived. Ha! 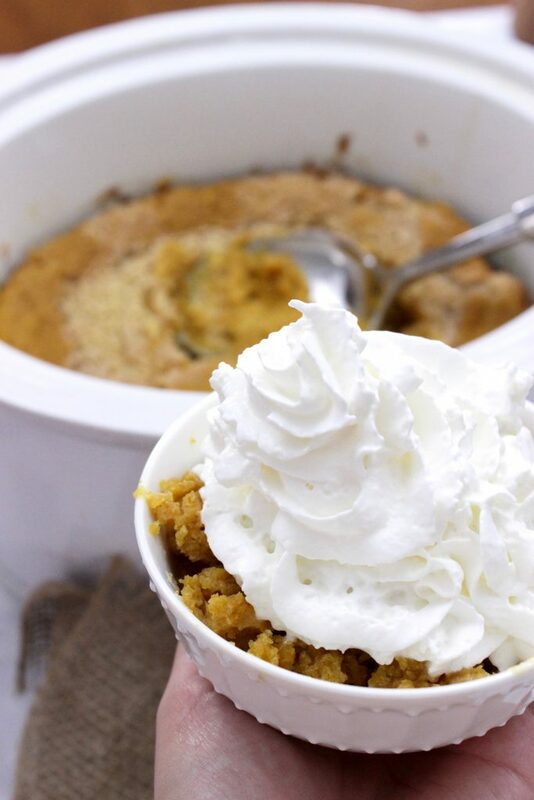 Just kidding — BUT if you need an easy crock pot dessert recipe that’s sure to please, and you’re looking for quick pumpkin dessert recipes, this is your guy here! Crock pot desserts are the bomb because they’re make ahead, meaning that you can relax, and hang with your guests or family while your slow cooker cooks the dessert. 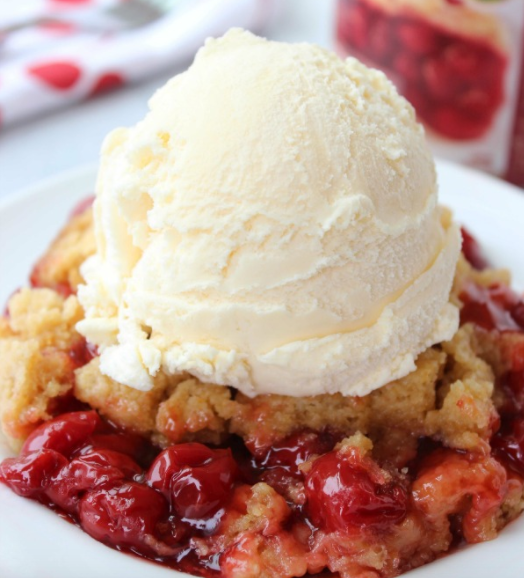 And, if you’re up for trying any dessert in the slow cooker, you’re certainly going to want to give this slow cooker cherry dump cake a shot. If we had taste o vision, well, I’d be licking my screen! See the full ingredient list here. Oh for all things mighty, can you just look at this?! Slow cooker desserts are the best because things can simmer and this case, it’s the apples that are just slowly simmering to make what seems like the most magical partnership that could possibly be. WOW! See the entire slow cooker dessert recipe here. These are definitely not your typical crockpot cakes that’s for sure! But they’re adorable, unique and fun, just the same! 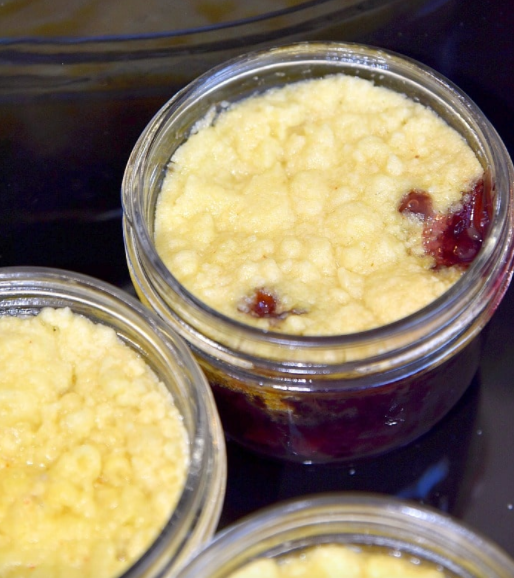 Head over here where you can find the full recipe list for these cute little Crockpot Blueberry Cobblers. 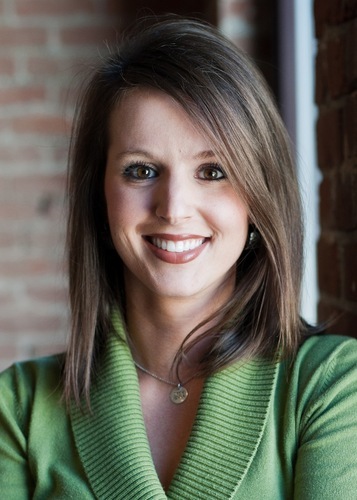 Not to spoil too much, but you use the crockpot to make mason jar cakes – how fun is that!? I bet my kids would love doing something like this! Holy amazing-ness right here! 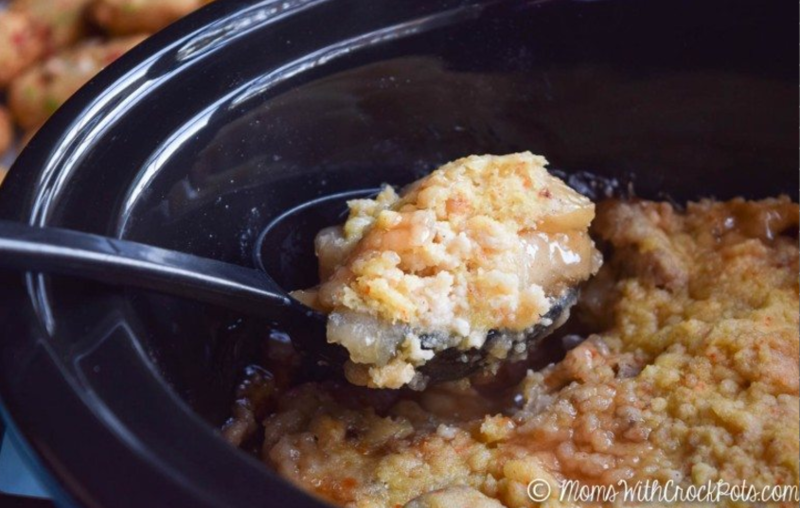 When the ingredients are combined and cooked in this Crock Pot Pecan Cobbler, it will make a layer of caramel sauce right in the crockpot under the cake. 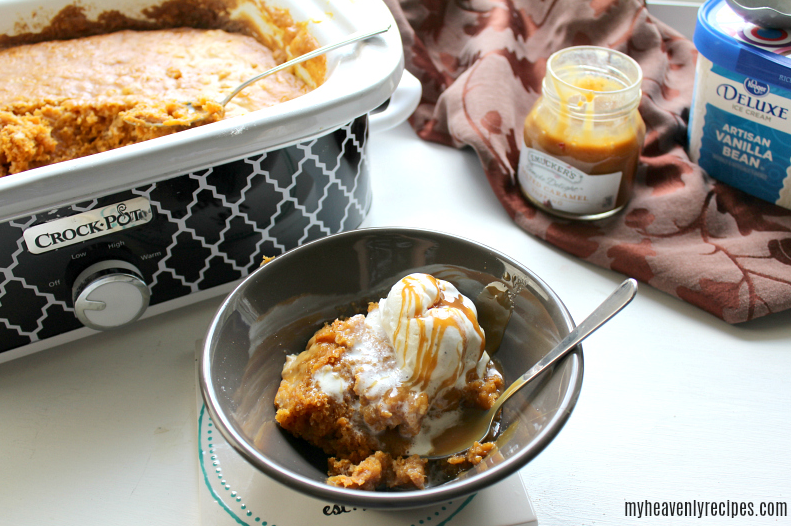 When you scoop it to serve it you will get cake and the gooey caramel goodness. Can you say magic? I can, but first, I say I need this recipe – see it here! S’mores don’t just have to be a dessert for the fall over a campfire! Head here where crock pot desserts have taken their game to a whole new level by making a Crock Pot S’mores Cake. It’s all the usual suspects baked in a crock pot, and made simply delicious – YUM! Could these be any cooler? 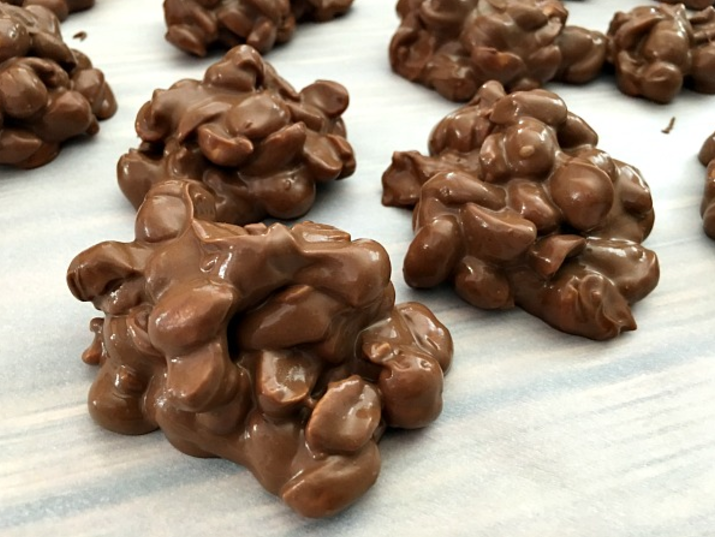 Instead of making peanut clusters on the stovetop and risking getting hardened chocolate all over the place, move the dessert prepwork over to the kitchen countertop and make these peanut clusters in the crock pot here. I know this isn’t technically a “cake” but can we all agree that it’s plain genius? I think so! 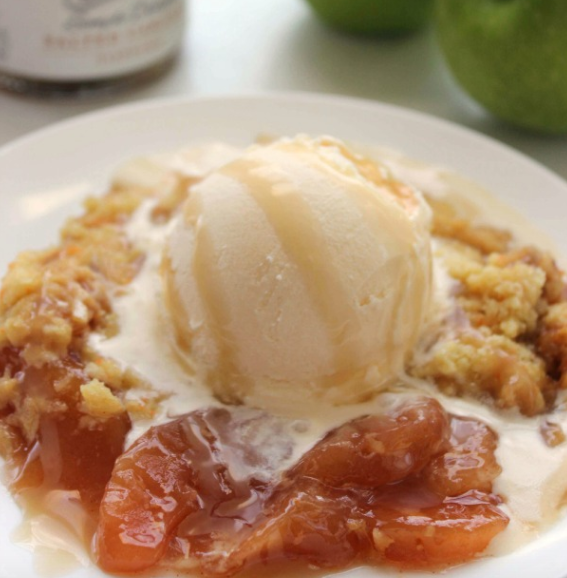 This Crockpot Apple Dump cake recipe here is kind of like the one above, just no caramel. But, I tell ya, this crockpot cake recipe looks just as yummy! Wait, I have an idea … try both!? Sure! Why not?! And, last of this list, but certainly not the least are these Crock pot pumpkin spice dump cake. This is a crock pot cake recipe with no cake mix, which we don’t see too often! Crock pot cake mix from scratch here folks! Gotta love that! See the entire ingredient list here.